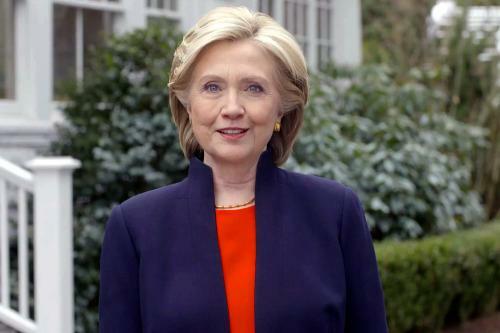 Hillary Rodham Clinton announced her much-awaited second campaign for the White House on Sunday, posting a video declaring that she will focus on greater economic security and opportunity for middle-class and poor Americans. The former first lady, US senator and secretary of state decided against a big public announcement, opting instead for a two-minute, 18-second video statement on her campaign Facebook page, a low-key approach to a candidacy that has been expected for months. "Americans have fought their way back from tough economic times. But the deck is still stacked in favor of those at the top. Everyday Americans need a champion and I want to be that champion," Clinton said, speaking only at the end of the video message which features a series of men, women and children describing their aspirations. Clinton plans to head to the early-voting states of Iowa and New Hampshire, looking to connect with voters directly at coffee shops, day care centers and some private homes. Clinton hopes to avoid making the same stumbles she did in 2008, when she entered the race as a US senator and a heavy favorite only to be upset by Barack Obama in Iowa's lead-off caucuses. She concluded by saying, "So I'm hitting the road to earn your vote. Because it's your time. And I hope you'll join me on this journey."